I planted this Dwarf Meyer Lemon tree back on 4/16/09. Today, 11.26.09, we are about to reap our first harvest. 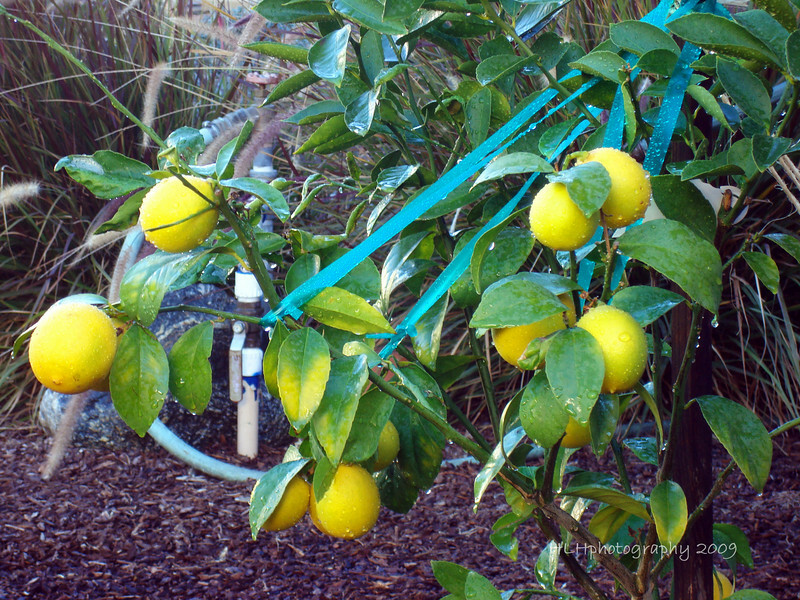 I did'nt think we'd get any lemons this first year but as you can see, we've got lemons! Hooray!